Bank Band was formed in order to expand possibilities of ap bank (an NGO created by Sakurai, Kobayashi and Ryuichi Sakamoto), in which Takeshi Kobayashi and Kazutoshi Sakurai have been playing the central roles. 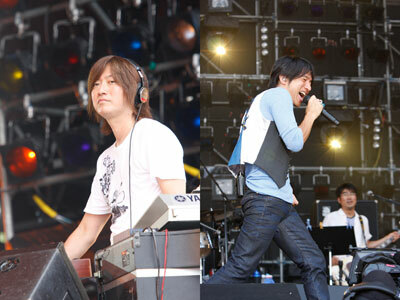 Bank Band is like a super band and their members comes from various Japanese musical projects and styles. Bank Band only plays in special lives (ap fes and TV Shows), giving full free to the members for their solist project and bands. In July 2010, Kuwata was diagnosed with esophageal cancer, causing him to cancel an album planned for October 20th and a live concert tour to undergo treatment.